Are you Searching for SSC 10 + 2 Hall Ticket 2018 then here is good news. Department of Staff Selection Commission will upload the SSC CHSL Admit Card 2018 for Tier II exam. Combined Higher Secondary Level Tier II exam will be held on 15.07.2018. Candidates who are qualified in 10 + 2 Tier I Exam will get the call letter for Combined Higher Secondary Level Exam. By using Registration NO. & DOB Applicants can get the CHSL Hall Ticket. All the appear candidates can download SSC CHSL tier II hall ticket from regional wise. 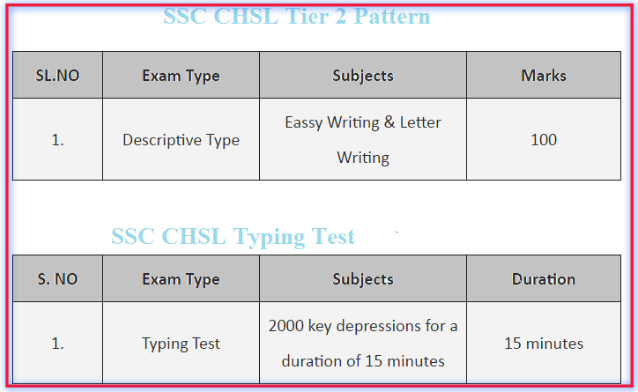 About SSC CHSL Exam Analysis : Staff Selection Commission conducts the CHSL exam every year. Candidates who are interested for Combined Graduation Level Exam was complete the Form process. Now Applicants who are qualified in SSC 10 + 2 Tier I Exam, which was held on 04.03.2018 to 26.03.2018 will attend the next step. The qualified candidate will get the SSC CHSL Admit Card 2018 by using Application NO. & Password. We are providing here direct link for downloading the Hall Ticket of LDC DEO Tier II Exam after releasing by the department. Latest Update as on 07th July 2018 : Staff Selection Commission will conduct Combined Higher Secondary Level Examination on 15th July 2018. The SSC CHSL Admit Card for tier II examination is released region wise. 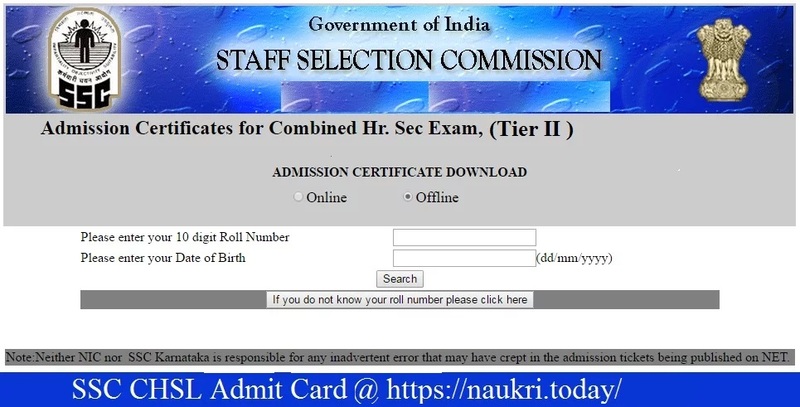 So candidates who are belonging North Region, Western Region, North Western Region, Eastern Region, MP Sub Region can collect their SSC CHSL Tier II Admit Card from below link. Remaining Region SSC CHSL Call Letter for Tier II Exam will upload very soon. Connected with us for more information. Latest News as on 04th July 2018 : Staff Selection Commission Combined Higher Secondary Level Examination will going to held on 15th July 2018. Applicants who are going to attend the examination can download SSC CHSL Admit Card 2018 for Tier II Exam Region wise from below link. What is Selection Procedure For TIER II SSC CHSL 2018 Exam Pattern & Many More details ? Region-Wise SSC CHSL Admit Card Direct Links : It will declare SSC 10+2 Exam Hall Ticket for Central, Eastern, western, MP, Southern, North Eastern Region, North Region at the official website soon. The Combined Higher Secondary Level Tier II Exam is taking place for the first time. Previously only single exam used to take place. But now, SSC Will conduct written exam in two phases – Prelims & Mains. Downloads the SSC CHSL Admit Card for Tier II for different regions from the Direct Link given below. The Admit card is very important and useful for all the participants. It very helps to guide their verification to examiner you are eligible or not for the examination. Examiners not to allow any candidates without CHSL exam Hall ticket. Candidates can enter their Registration ID and Date of Birth on official. Get a hard copy of SSC Admit Card & Carry SSC 10+2 Hall Ticket link. All the candidates must to carry their CHSL (LDC / DEO) 2018 Admit card on the date of examination. We are provided all the details of SSC CHSL Admit card. Participants need to visit regularly here for more updates. Exam Result, Answer Key & Cutoff Marks : We are providing here full details related to Staff Selection Commission Result, Answer Key & Cutoff Marks. Applicants who will participants of Combined Higher Secondary Level Tier II exam can check the SSC 10+2 LDC DEO Exam Result & many more details. Staff Selection Commission CHSL Admit Card 2018 is issued by Staff Selection Commission. Admit card of SSC CHSL 2018 Tier II LDC DEO (10+2) examination can downloaded by qualified candidates It means who are qualified in Tier I exam can get permission letter. Staff Selection Commission CHSL Tier II Exam Hall Ticket is also known as the admission certificate, and it is generally issued two weeks before the Combined Higher Secondary Level examination is conducted. The procedure adopted for facilitating admit card download is simple and candidate friendly. Follow the steps given here to download admit card of SSC CHSL 2018 examination. Go to the regional SSC website. Links for each region and sub-region admit card download pages are given in the table below. Check for the “Know your roll number” link. Now go to the download admit card link. Enter roll number to download SSC CHSL Exam Hall Ticket 2018. Print the admission certificate and check that all details given therein are correct. Conclusion : SSC CHSL Admit Card 2018 Tier-II Offline Test LDC/ DEO Admit Card 2018 Download SSC 10+2 Admit Card Check Exam Date of Combined Higher Secondary Level Inter Level Exam 2018 Hall Ticket/ Call Letter Download Admit Card latest news Updates. At the Above of this article, we will provide you the Links to download SSC CHSL 2018 Hall Ticket. Are you looking SSC CHSL Admit Card 2018 For LDC DEO Exam??? Then here is a good news for you, Staff Selection Commission recently announced that they are going to published Combined Higher Secondary Level 10+2 Hall ticket. SSC CHSL 2018 Admit Card available before 10-15 days of the examination. Written Exam is going to held from 04.03.2018 to 26.03.2018. Here, our naukri.today team is providing direct link to download SSC 10+2 Admit card in the below article. By using Registration No, Name you can check your SSC CHSL Hall ticket here. Staff Selection Commission every year organized the Combined Higher Secondary Level test for the candidates who have passed 12th (Intermediate) Class. Now they are going to release SSC LDC Admit Card for the candidates who were applied for SSC DEO LDC Recruitment 2018 on before the last date. Participants may download the SSC CHSL Hall Ticket through online mode on the official portal or from here. For more information read the full article, it will be help you to download the SSC 10+2 Admit Card 2018. Fresh Update as on 27.02.2018 : Applicants, Region wise SSC CHSL Admit card declared now. Interested candidates can check Region wise CHSL Admit Card from here. Link of Downloading 10+2 Admit card is mention below. Latest News as on 21.02.2018 : Dear Applicants, SSC has now issued CHSL 2018 Tier I Admit card for Eastern & Southern Region. Department has also released Exam Schedule for KKR Region. Link of Downloading SSC CHSL Admit card is mention below check now. Fresh Update as on 17.02.2018 : Applicants, SSC has now issued Final Result of CHSL 2016 Exam. Candidates who have appeared in exam can check your Final Result from here. Latest News as on 16.02.2018 : Dear Applicants, SSC has now issued SSC CHSL Admission Certificate & Application Status for WR, KKR & Southern region. Applicants can check your Application status from here. Link of Downloading SSC CHSL Admit Card will active shortly. Fresh Update as on 15.02.2018 : Dear Applicants, SSC is going to issued CHSL Admit Card 2018 in this week. Keep connected with this page for downloading your SSC CHSL 2018 Admit Card region Wise. Rest of details is mention below. 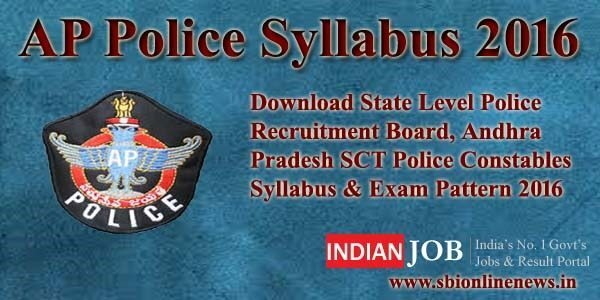 Staff Selection Commission every year conduct Combined Higher Technical Level Examination 10+2 Tier 1 and Tier 2 for recruitment of Lower Division Clerk and Data Entry Operator Post. SSC CHSL Recruitment notification issued to fill up 3259 Vacancies. Interested and eligible candidates already applied through online mode on the portal ssc.nic.in. The Online registration last date was 30.12.2018. Now applicants are waiting for the SSC CHSL Admit Card 2018 to attend the LDC/DEO Examination. 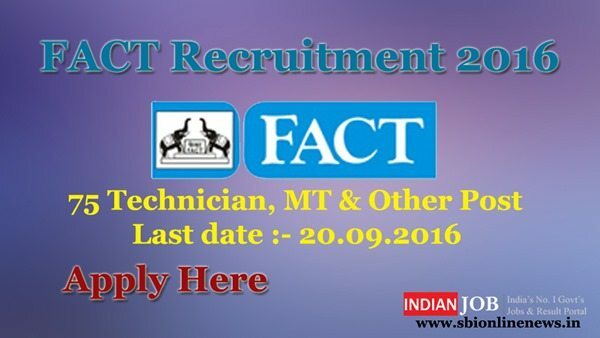 For more details candidates must read full article. All details related to SSC LDC Admit Card for LDC/DEO post is mentioned here. Staff Selection Commission Combined Higher Secondary Level Examination will be held into two parts. First part is called tier 1 and the other called as tier 2. In SSC Combined Higher Secondary Level Tier-1 Examination is a computer based online Examination. Tier 1 Part consist objective type questions multiple choice. Total 200 questions asked in this section and every questions has 1 mark. There will be negative marking also 0.50 for every wrong answer. So read carefully question paper and tick the correct answer according to you. After qualifying the tier 1 examination applicants can attend tier 2 exam. Here you can download SSC CHSL Admit Card 2018. Staff Selection Commission Combined Higher Secondary Level 10+2 tier – II exam will be formed of descriptive type and offline mode. Every candidates should have Pan to written the test. This exam judge the writing skill of the candidate and the duration of exam will be 20 minutes. The paper include an essay of 200-250 words and letter or application which has approximately 150-200 words. The minimum required percentage in SSC CHSL Tier –II Exam is 33 percent marks. After qualifying the tier-II applicants appear in the tier III examination process. Tier – III Consist Typing Skill/ Skill test. The final score made with overall performance of the candidate in both test. Candidates who are going to attend the examination must have SSC Admit Card. If applicants are not have Staff Selection Commission CHSL Hall Ticket in the examination Center, they can’t attend the exam and terminated the tier- I and tier – II test. So must carry the valid SSC CHSL Call Letter and also have some important required documents. Candidates must reach 30 mins. before the examination time, otherwise the authority rejected the applicants at own level. For more details must read the instructions given on the aspirants SSC CHSL Admit Card 2018. Candidates must carry one passport size photo & any one Photo ID proof on SSC CHSL Examination center. Without it entry is not allow in exam center. Some of ID Proof is mention here, collect any one with SSC 10+2 Admit Card on exam center. Applicants who were filled the Examination form should download SSC CHSL Call Letter 2018 for Combined Higher Secondary level Examination. The SSC LDC Admit Card will be available on official portal before 10 to 15 days of the test. Applicants should follow the given below instructions to download SSC CHSL 2018 Call letter. First, you go to the official portal www.ssc.nic.in. Find the SSC CHSL Hall Ticket 2018 and then click on the link. After clicking the link, the new window will appear on your computer screen. Candidates fill the required details such as Registration form/no., date of birth and other. Then submit the details, again a new window will be open on your computer display. Your SSC CHSL Hall Ticket is available on your screen. Download SSC 10+2 Hall Ticket and then take print out, uses in the examination hall. Applicants can also save the soft copy of call letter for future reference. Conclusion : Download SSC CHSL Admit Card 2018 to attend the 10+2 Combined Higher Secondary Level test. The department will release the examination SSC Online Call Letter before the examination will be started. For more details applicants should read the full article properly and also can download the SSC 10+2 Admit Card from here.